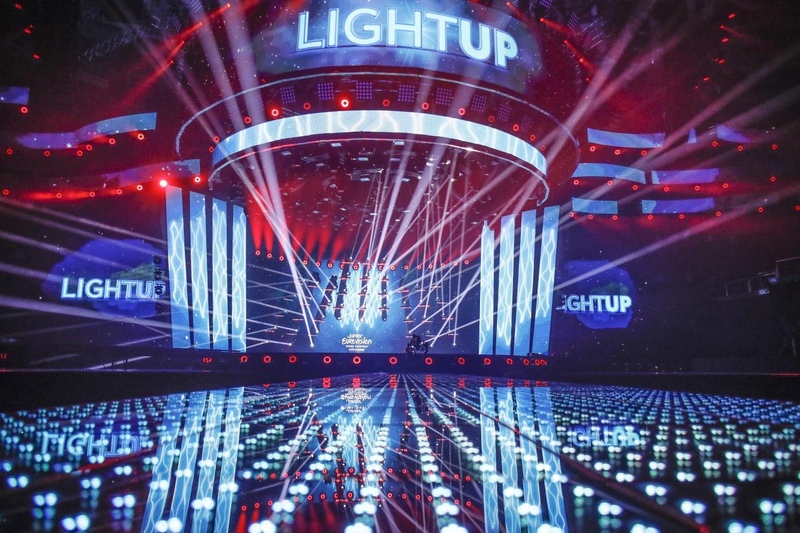 On Sunday 25th November, twenty nations will go head to head at the Junior Eurovision Song Contest 2018 in Minsk, Belarus. With rehearsals well underway, we’ve made this handy guide to knowing who’s representing which country, and with what song. Representing Albania this year is ten-year-old Efi Gjika. Efi was selected after winning Albania’s national final Junior Fest 2018 with her song “Barbie”. Over the past few years, the young singer has made appearances both on stage and on TV, as seen on her Instagram page. However, her most notable achievement was winning Junior Fest this year. Find out more about Efi here. Armenia’s representative this year is twelve-year-old LEVON (Levon Galstyan). He was chosen to represent his country with his song “L.E.V.O.N” after winning Depi Mankakan Evratesil back in September. Levon is no stranger to singing competitions, as in 2016 he participated in The Voice Kids Russia, where he was coached by Valeriy Meladze. Read more about LEVON here. Australia’s fourth Junior Eurovision entrant is twelve-year-old Jael Wena, who was internally selected by Blink TV to represent her country. Jael began singing at the age of four, and by the time she was nine she had already recorded songs in her father’s recording studio. Find out more about Jael here. Azerbaijan returns to the contest this year after a 4 year break with twelve-year-old Fidan Huseynova and her song “I Wanna Be Like You”. The young singer was internally selected to represent her country by Azeri broadcaster ITV. Her career started in 2014, and since then she has gone on to perform in many competitions, including the Sanremo Music Festival in Italy, where she placed 3rd. Find our more about Fidan here. Host country Belarus will be represented by fourteen-year-old Daniel Yastremski. He was chosen to represent his country after the won their national final with his song “Time”. Daniel has been taking part in music lessons since he was six years old, and has since taken part in numerous competitions and represented Belarus at New Wave Junior in 2017. France returns to the contest for the first time since 2004 with internally selected Angélina Nava and her song “Jamais Sans Toi”. Ten-year-old Angélina has been singing since she was six, performing in numerous musicals and competitions since. At just nine-years-old, she won the 2017 edition of The Voice Kids in France. Read more about Angélina here. Thirteen-year-old Tamar Edilashvili was selected to represent last year’s host country Georgia after winning Ranina earlier this year. Tamar is no stranger to music competitions, having participated in the X Factor Georgia in 2017 and reaching the semi-final. She will be singing “Your Voice”, which is performed in Georgian and English. Read more about Tamar here. Ireland’s fourth Junior Eurovision entrant is Taylor Hynes, who was selected after winning Junior Eurovision Eire with his song “IOU”. Taylor is one of the oldest participants of this year’s Junior Eurovision Song Contest, and previously attempted to represent the country in 2016 and 2017. Read more about Taylor here. Israel returns to the contest after a five year absence with thirteen-year-old Noam Dadon. The young singer was selected after winning the Israeli national final show in September. His song “Children Like These” was revealed a month later, and will performed in Hebrew. Read more about Noam here. Representing Italy this year is Melissa and Marco, Italy’s first boy-girl duo in the history of the contest. The pair were internally selected by Italian broadcaster RAI. Fourteen-year-old Marco Boni is from Abruzzo, Italy, and ten-year-old Melissa di Pasca is from Alassio. Marco has won over 26 international competitions, including Sanremo Junior. Melissa has also performed on many stages and shows in her career. Her most notable performance is at VB Factor Kids, an Italian musical competition. Read more about Melissa and Marco here. Twelve-year-old Daneliya Tuleshova will represent Kazakhstan at their first ever Eurovision event with her song “Ozine sen”. The young singer was chosen to represent her country after winning the Kazakh national final show, where she was a favourite to win. Daneliya is an experienced competitive singer, having represented her country at the Junior New Wave contest back in 2015 in Crimea when she was 9 years old. Read more about Daneliya here. Representing FYR Macedonia this year is twelve-year-old Marija Spasovska with her song “Doma”. Marija was internally selected by Macedonian broadcaster MRT, and has been singing and performing since she was 4-years-old. Her most notable performance to date was at the 2017 edition of Slavianski Bazaar in Vitebsk, Belarus. Read more about Marija here. Twelve-year-old Ela Mangion was selected to represent Malta with her song “Marchin’ On” after she won the Maltese selection show. Ela is no stranger to international competitions, as she represented her country in New Wave Junior 2016, where she came 2nd, and even went on to win the Euro Pop Contest in Berlin last year. Read more about Ela here. Max Albertazzi and Anne Buhre were chosen to represent the Netherlands after they won Junior Songfestival with their song “Samen”. Both of the young artists have featured on The Voice Kids in the Netherlands – Max competed in season 6, and Anne in season 7. Read more about Max and Anne here. The fifth artist to represent Poland at the Junior Eurovision Song Contest is thirteen-year-old Roksana Wegiel. The young singer was internally selected by Polish broadcaster TVP. The young singer rose to fame after winning the first season of The Voice Kids Poland earlier this year, and has since released two singles, titled “Zyj” and “I Promise”. At the contest, she will be singing “Anyone I Want To Be”. Read more about Roksana here. Portugal’s fourth Junior Eurovision entrant is Rita Laranjeira, who was chosen to represent her country by RTP after she attended live auditions. The singer is no stranger to singing on stage, as she has participated in the final of Kids Music Fest in Portugal. She will be singing “Gosto de Tudo (Ja Nao Gosto de Nada)”. Read more about Rita here. Representing last year’s winning country, Russia, is thirteen-year-old Anna Filipchuk. Anna was chosen to represent her country after winning Akedemiya Eurovision with her song “Unbreakable”. As well as singing, the young star has experience in TV presenting and rhythmic gymnastics. Thirteen-year-old Bojana Radovanovic will represent Serbia at the 2018 Junior Eurovision Song Contest with her song “Svet”. She was internally selected by RTS after they made a call for entries earlier this year. The young singer is no stranger to competitions as she took part in Pinkove Zvezdice in 2017, where she reached the superfinal. Read more about Bojana here. Representing Ukraine this year is eleven-year-old Darina Krasnovetska. Darina was chosen to represent her country after she won the Ukrainian national selection with her song “Say Love”. Her greatest achievements in her career include participating in The Voice Kids in Ukraine, and winning the Black Sea Games two times. Read more about Darina here. Alongside Kazakhstan, Wales are also debuting at this year’s Junior Eurovision Song Contest. Manw Lili Robin was chosen to represent the nation after winning Chwilio am Seren. Active in the singing industry since 2014, Manw is no stranger to competitions, having performed at the National Eisteddfod of Wales and Urdd National Eisteddfod on numerous occasions. In Minsk, she will be singing “Perta”. Read more about Manw here.